Bread board enable us to build circuits without soldering. We can connect pins by insert them into holes of bread boards. 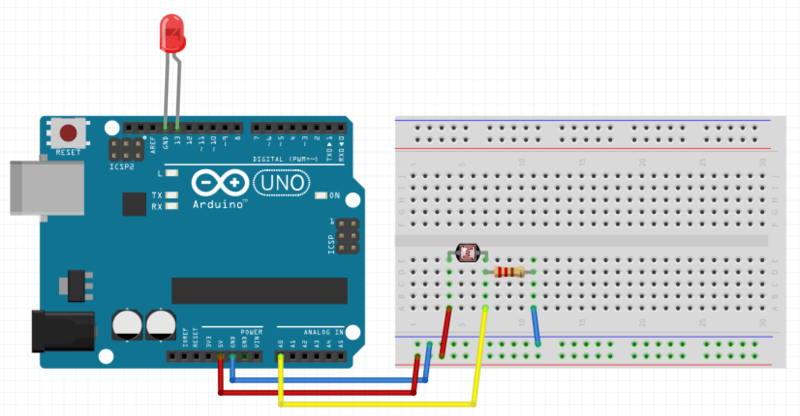 In fact, Arduino doesn't have the function to output analog value. To control LED (or other output devices for example DC motors) gradually , we can use "PWM - Pulse Width Modulation" as a control method. By PWM control, we can change apparent voltage by changing duty rate instead of changing peek voltage. For example, when the peek voltage is fixed in 5V, 10% duty rate appears as 0.5V. We can use analogWrite function for PWM control. 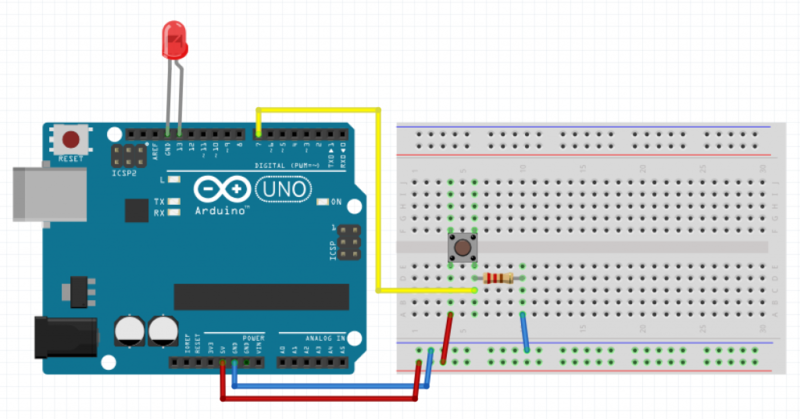 We can control servos by using PWM as well.